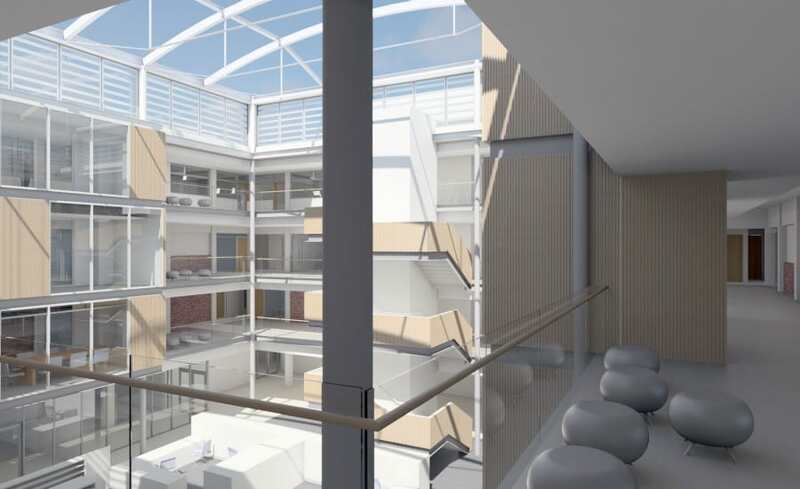 The London Oratory School is undergoing a dramatic transformation. 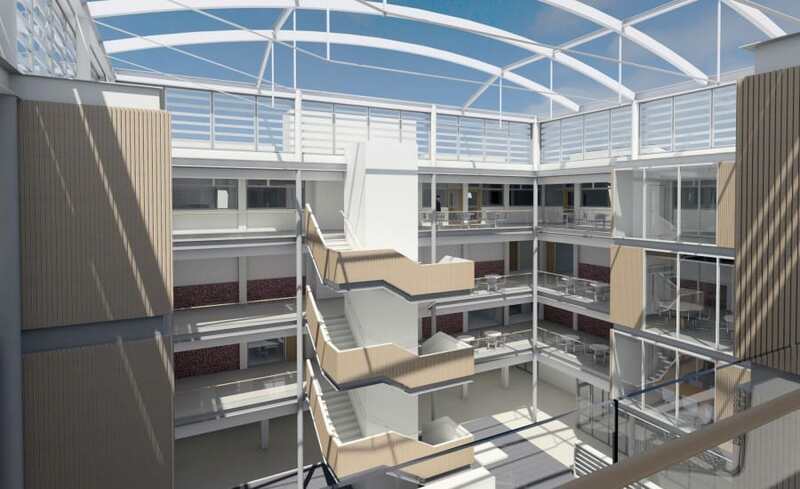 The main block of the school, which once housed a gym and Saint Philip’s Hall, was demolished to make room for a new civic centre, extended teaching spaces, learning resource area and a central courtyard – all under a beautiful ETFE inflated roof system. 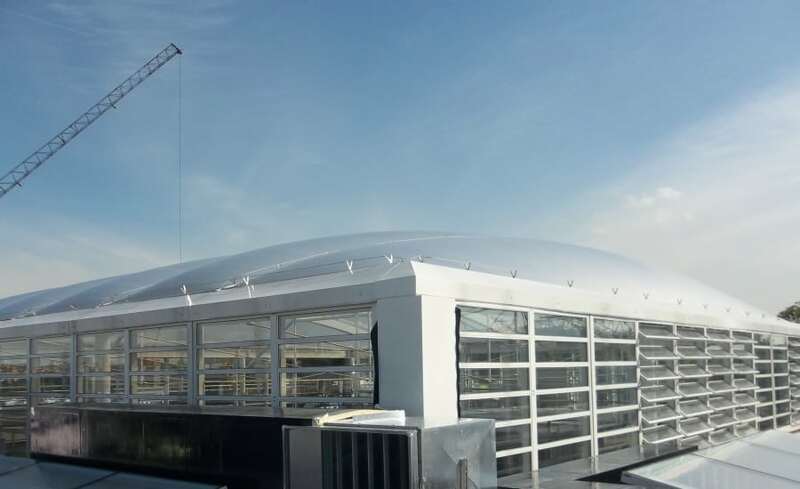 Architen Landrell won the contract to design, pattern, engineer, manufacture and install the prominent new ETFE roof. A three layer cushion was chosen because it offers greater insulation, achieving a U value of 1.96. In total, six cushions were installed measuring 18 x 3m offering 324m2 of covered space. 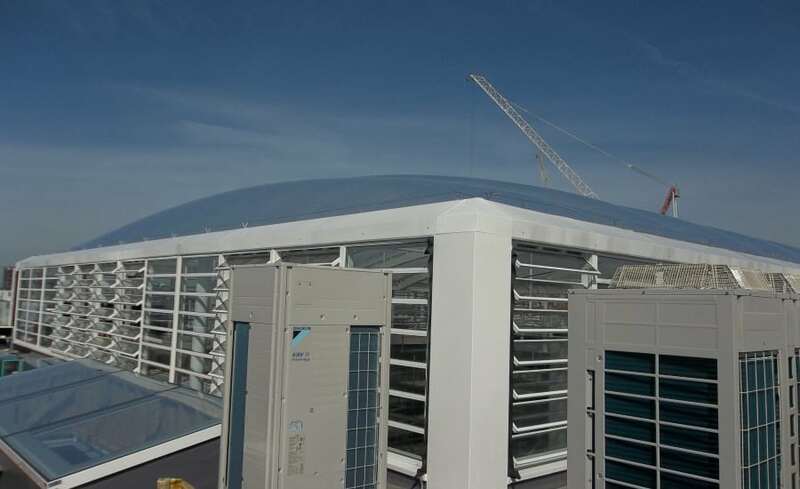 Without a frit pattern, ETFE cushions can achieve light transmission up to 85%. Our design team worked out the best level of fritting to control solar gain and glare and settled on a dense hexagon pattern. Despite covering 90% of the surface of the foil, the printed membrane lets in a light transmission of 40% – enough to keep the space cool on sunny days, yet naturally lit on cloudy rainy days. 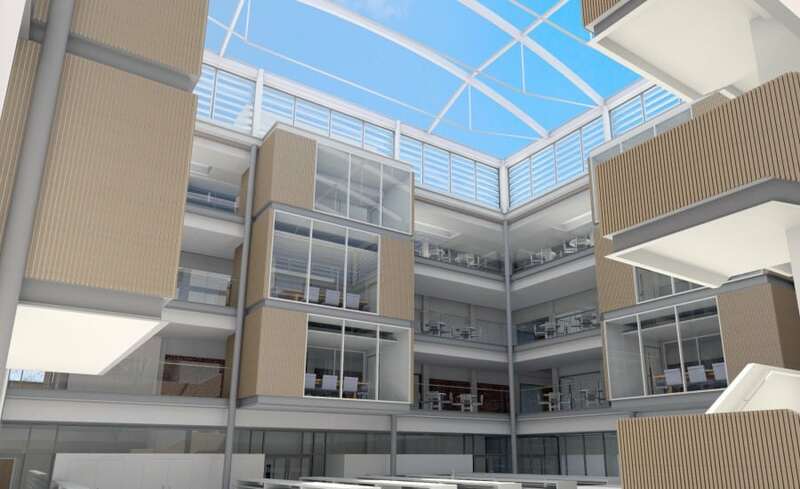 To install the cushions six stories above the courtyard, we used Mobile Elevated Working Platforms (MEWPS) to then install working nets under the steel structure. Nets gave us a safe platform to install the cushions. Underneath our ETFE roof system is four walls of louvers (done by others) which open and close to allow heat to escape and fresh air ventilation. The result is a new state of the art space that is naturally lit, protected from the weather and usable all year round. The London Oratory School is notable for educating the children of a number of politicians, including three of the four children of the former Prime Minister Tony Blair and the Deputy Prime Minister Nick Clegg.